This is where you can find out about the full range of resources available to you. These come in various formats, including text-based documents, video and interactive tutorials and recommended links to external resources. The World of Work was set up by the Greater Lincolnshire LEP- the voice of the local business community- to promote employment opportunities in Greater Lincolnshire. The resources page provides you with free resources to help you find more information on a particular career path, industry or employer. 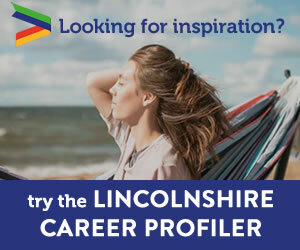 So whether you want to find more information on apprenticeships, the engineering industry or Agri-Food employers in Greater Lincolnshire; this page will be able to direct you to some great resources. Maisie Snowdon is harnessing energy from Falcons in flight! Learn more about building with sustainable products with Kristoffer and Metsä Wood. We believe that every young person should have the chance to embrace exciting opportunities. So, we help 11 to 30 year-olds to transform their lives. Boston College has so many opportunities to help you start a career! Boston College has some fantastic courses to help you start your career. This video gives you a snapshot into life at Boston College. Regan Deans tells us a little more about product development in the agri-food industry. Tasty Careers is your one-stop shop for finding your dream career in the food & drink industry. Find out what it takes to work at Gadsby's bakery! They produce baked goods for the Lincolnshire Co-operative. The panel consists of approximately ten current and recent apprentices who come from different occupations and have had varying experiences. This link tells you everything you need to know about working in construction! At MyBigCareer, we are determined to break down barriers to social mobility & make a difference to young people’s lives. The Tomorrow’s Engineers programme, led by the engineering community, provides a platform for employers to grow the talent pipeline as part of a collective drive. A useful information back from Amazing Apprenticeships. Government run scheme to get you into your career! What do people really think of Apprenticeships? GetMyFirstjob hit the streets to find out what people really think of apprenticeships and to challenge peoples perceptions. Information about local business support schemes and services that can help you start or grow your business. NCS is more than just a youth programme; we're a family of hundreds of grassroots organisations, each with their own unique expertise & ability to inspire young people. The STEM Exchange acts as a matching service bringing together individual teachers and tutors from colleges, private training providers and charities with employers within their area. An interactive, on-line resource exploring the diversity of renewable materials and their role in sustainability for the future. A walkthrough construction showcasing the huge variety of roles that the industry can offer. Vinspired is the UK's leading volunteering charity for 14 - 25-year-olds. vinspired helps young people to make their mark on causes that they care about, whilst learning new skills and talents along the way. Could you spark an idea in a young person that takes their future career in a whole new direction? A short film by BMS telling the story of a typical day in the life of a wind turbine engineer. Tackling global challenges with wood construction! How Metsä Wood are building ecologically with more sustainable solutions. Find out more about the Robotics industry! From apprentice to qualified Nurse! Find out more about Lauren's journey from apprentice in Scunthorpe to newly qualified Nurse with North Lincolnshire and Goole NHS Foundation Trust! Want to find out more about Social Change UK and what they do? Learn about working within marketing and development in the Agri-Food industry. We empower employers to help them define and create high quality apprenticeships. As a co-operative, we're committed to the ethical principles, such as Fairtrade and sourcing products locally. Learn more about Bakkavor from the growing of produce, all the way to the consumer. Learn more about the amazing degree apprenticeships available at the University of Lincoln's National Centre for Food Manufacturing. The Tech Partnership is the network of employers collaborating to create the skills for the UK digital economy. We are proud to be a leading national charity committed to providing high-quality services for young people. We offer support, advice & training to equip young people with vital life skills. Take a look at the journey of a coffee bean with Stokes! The charity Education and Employers runs Inspiring the Future which connects state schools and colleges with employers and people from the world of work. Utilise these posters to encourage young talent to visit the World of Work site and delve into the agri-food sector. We went to the Field2Fork event! We attended the Field2Fork event to talk to young people about careers in agri-food. Find out why the agri-food sector is so important with the World of Work. Learn more about how the NCFM mixes education and research within the biggest cluster of food manufacturing employers in the UK. They offer level 2 programmes right up to degree apprenticeships! We're here to make it easier for career advisors and teachers to find information on apprenticeships. Find out about apprenticeships in recruitment! Learn how the Agri-Food and Engineering Sector combine! We empower young people who’ve grown up without hope and give them the confidence and the skills to find work, realise their potential, and value themselves. Paul works in the clinical engineering department at Grantham District hospital. Find out more about Paul's apprenticeship and what a "clinical engineer" does! Youth Employment UK was set up to reduce youth unemployment and support every young person to progress. "Now I know that there are so many avenues to go down in construction, it's not just about being on site"
For the past 7 decades, our we have inspired & transformed the lives of millions of young people. Learn more about Tong Engineering! Watch this corporate video to learn more about Tong Engineer, Potato Grading and Vegetable Handling Equipment. Contact your local STEM Ambassador Hub, available across the UK, for anything related to the STEM Ambassador programme. Bakkavor have an amazing graduate programme! Learn more about Bakkavor's fantastic Graduate programme and how you could train within different departments over a 2 year course! We're on a mission to connect 2million young people to opportunities! Starting our tour in London, business to education & workshops to panels. Here we go! Have you heard about Coveris' Pack Positive™ strategy? Learn how Coveris are balancing Food Waste and Plastic waste with smarter packaging! Learn more about Mid UK Recycling! Flight Sergeant Barrie Ramsden is the Senior ‘Engineering’ Blue and is in charge of 83 engineering technicians, and other support staff. Video: Cpl Jimmy Wise . Learn more about the project completed by R G Carter Construction on the International Bomber Command centre in Lincoln. Close your eyes and picture an engineer. You probably weren't envisioning Debbie Sterling! This report focuses on Lincolnshire's visitor economy and what the future holds for Lincolnshire's tourism industry. We're a UK wide education charity that provides young people in state schools & colleges with access to assembly-style talks from leading, influential figures, free of charge. Using what I have learned in the classroom and putting this into practice in a real construction environment has proved to be very rewarding and, on occasions, challenging. There are now more than 1000 people directly and indirectly employed in offshore wind.